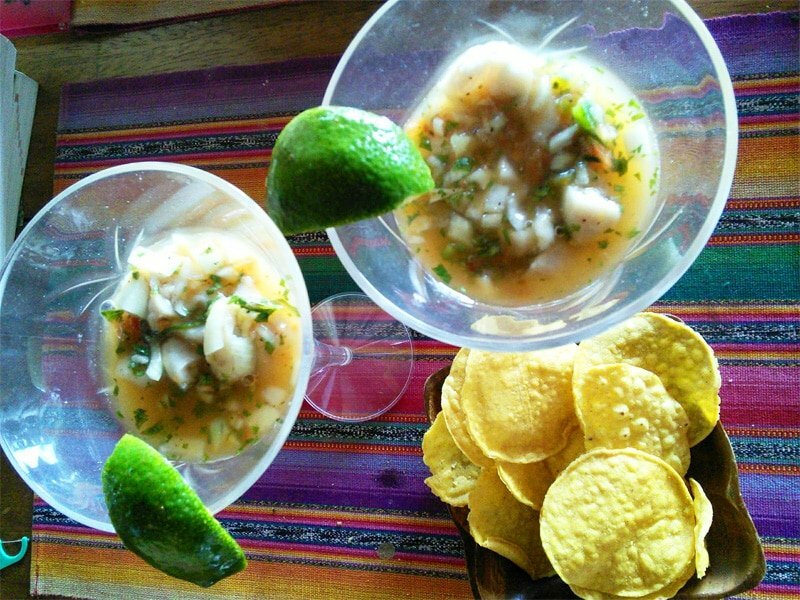 How we discovered the secret to Ceviche in Costa Rica. While staying in Atenas, Costa Rica, we enjoy getting our groceries at the local market, the “mercado central”. Most of the stalls in the market sell various kinds of foods although a few sell household goods and souvenirs. We like to get our fresh fruits and vegetables from a number of the Ticos that sell their farm produce there. On our first visit, the sign for ceviche at the fish monger stall caught our eye. We both really enjoy this dish and the price was listed as just 1000 Colones (US$2.00). What we got for this small price was a Styrofoam cup full of the marinated fish, onion and cilantro mixture and we thought it was quite tasty. The next time we were in the mercado, we headed for the same stall again, but the fish monger was not there. Another man was, and from him we eventually learned through our exchange of broken Spanish, that he was just keeping it safe. The owner would be back soon. We waited a few minutes and the fish monger did indeed return carrying, what looked like a 2-liter bottle of soda pop. He proceeded to pour some of it into the bucket from which he dished out our ceviche which was again delicious. Further research into the way ceviche is prepared in Costa Rica solved the puzzle for us of what was in the 2-liter bottle. Many Costa Rican recipes call for the addition of ginger ale; in fact, it is the traditional way that they prepare it. We now include a small amount of ginger ale in our ceviche and find that it adds a nice amount of sweetness and a hint of ginger that improves the flavor. The dish calls for firm flesh white fish. Traditionally, Costa Ricans make it with Sea Bass, Red Snapper, Grouper or Tilapia. The fish should be very fresh or fresh frozen. Some folks feel that freezing the fish first will kill parasites. As the saying goes, nothing is constant but change. We still love ceviche and make it often. We follow a modified paleo diet, so we don’t use sweetened beverages or products with preservatives. We now make a modified costa rican ceviche recipe by replacing the ginger ale with two tablespoons of fresh chopped ginger. If you miss the sweetness, a little honey goes a long way toward balancing the sour lime juice. However you choose to make it—enjoy! Ceviche is a dish ripe for variations. There are endless ways to adapt and serve it. The quantities of the vegetables can all be altered to what is on hand, although the onion and cilantro are important to the overall flavor of the dish. Put all ingredients into a ceramic or glass bowl (not metal). The solid ingredients should be covered in the liquid. Marinate for at least 1-2 hours or until fish is opaque white throughout. Add some hot sauce if desired. Serve on a bed of lettuce, with tortilla chips, crackers or bread. Add chopped celery in the recipe for more crunch. One of our favorite Paleo Diet bloggers, Melissa Jouhwan has her own version of Costa Rica Ceviche on her Well Fed blog. You can try both and see which one you like better! 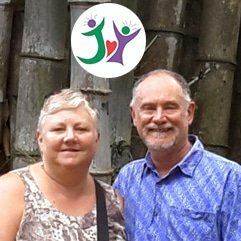 Both times that we visited Costa Rica we had wonderful experiences. The wildlife there is remarkable. 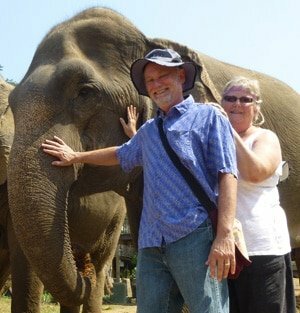 We saw stunning birds, adorable monkeys, huge lizards, even wild alligators and sloths. Read about our Costa Rica Jungle River Trip here. The lush scenery is gorgeous and the people are friendly. We took lots of photos. You can view them in our Costa Rica Photo Journal. Costa Rica is also a very budget-friendly destination. If you haven’t gotten to visit yet, we unhesitatingly recommend it!